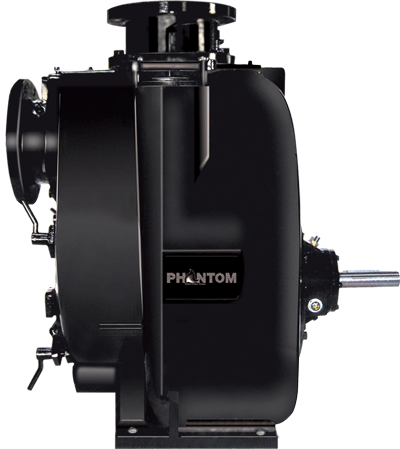 Centrifugal pumps from Phantom Pumps such as the PL-8 will virtually eliminate the need for foot valves, vacuum priming pumps, ejector pumps, and similar equipment. Our PL-8 self priming pump is an extremely cost-efficient solution for many applications, including construction, mining, fire departments, irrigation, and wastewater treatment. Plus, it requires little maintenance, so our customers can rest assured that their PL-8 pump will continue to operate at an extremely high level with little attention needed. Plus, the PL-8, along with our other centrifugal pumps, is interchangeable with many of the industry’s most reputable brands like Gorman-Rupp®. It’s also available to fit many pressure and flow specifications, including low and high pressure specifications. If you would like additional information about our line of centrifugal pumps, please call or e-mail us today. We can ship our products anywhere worldwide and we have a number of dealers located throughout the Southeastern United States. If you aren’t sure exactly which self prime pump you need, our team of experts can perform a conditions of service (COS) analysis to determine which option would best fit your needs.